This might be a controversial statement, but middle school, namely seventh and eighth grade, held some of the best years of my life thus far. I had a super tight knit group of girl friends. Some of us met in first grade, but our group officially formed in fourth grade and grew closer and closer from then on, with junior high as our culmination. We stayed close for the summer upon graduating eighth grade, but then high school happened. Suddenly life was a whirlwind. Thrust into a sea of more than four thousand strangers, I found myself longing for the comfort of the same familiar faces I saw day after day from first through eighth grade. This wasn’t my small pond anymore. 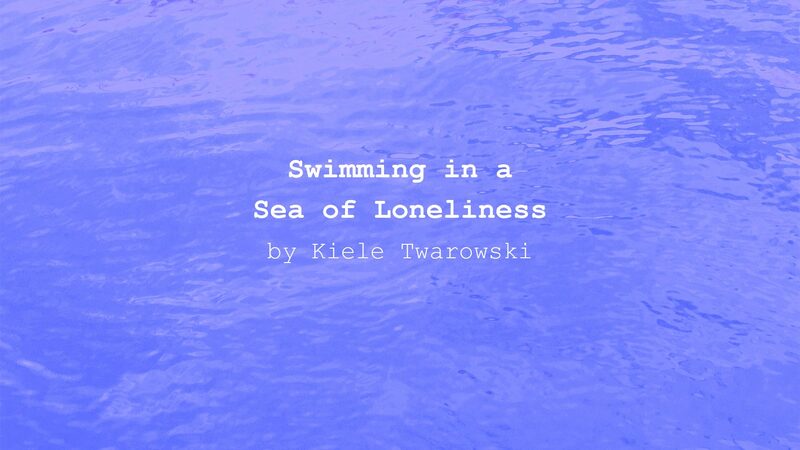 It was now an ocean — vast and terrifying — and I couldn’t help but notice the loneliness start to creep in slowly. It felt like I suddenly forgot how to swim, the water quickly rising over my head. As I met more and more new faces with each passing day, I found myself drifting away from my group of best friends. We were being pulled in different directions, meeting new people, making new friends. It all happened in the blink of an eye. One second I was surrounded by a group of girls whom I could trust my life with, people who would always have my back, and the next, I was treading water in the middle of the ocean — alone. It was then that I started to feel myself sink. As I was sinking I looked around for anyone to grab onto. I found some sort of solace in temporary friends. They came and went, and each time they went, I felt a part of myself go with them. It wasn’t that we were ever that close, it was just that my sensitive heart made it so each person I came in contact with became a small part of me. When the temporary friends and I would inevitably drift apart, it felt like my heart was slowly being chiseled away. With less and less of my heart, I felt the amplification of my loneliness. The loneliness felt like a constant storm cloud over my head as I longed for the closeness and companionship I once had. At the time I didn’t have my family either, my classic teen angst had pushed them away. I felt more and more alone every day. I spent most of my nights awake into the early morning hours crying in my bed, wondering when things would be better again. Eventually I met someone in a gym class who became more than just a temporary friend. We clicked instantly and with time, I gained more and more of my heart back as I began to feel the same old familiar closeness. My faith in friendship began to be restored. With this newfound friendship, I started to feel like my old self again. Soon after, my new friend introduced me to one of her close friends, and I welcomed her into my life with an eagerness and willingness that came from a new sense of trust that these friendships wouldn’t be temporary; I had found my people. With these two close friendships, I began to discover that for me, it wasn’t about the quantity of friends I had, it was about the quality of the relationships. With my personal discovery, my friendships now thrived because I was able to put all my time and emotional energy into cultivating and nurturing them. After a while, I had this understanding about my personal needs for a friendship, which allowed me to let my guard down and open myself up to others to let them into my own fragile world. With my openness and patience, I eventually found myself in another close knit group of friends. My heart finally felt whole again because I surrounded myself with people whom I could trust it with. I kept these people close to me for as long as we could hold onto each other. Eventually college came, and I had to leave them behind. While it was extremely difficult to leave them, I found that I suddenly had what I needed to ward off the loneliness: the willingness to open my heart to strangers and the understanding of what I needed from friendships. That same sense of loneliness can still creep up on me at times, but now I know that even when I feel like I’m treading water on my own, I’ll always have my life rafts within reach — I just need to reach out and grab for them to stay afloat.